RIA hybrid Sanctuary Wealth Management has acquired an advice practice established by two former Merrill Lynch brokers, according to a press release from Sanctuary. RiceBarrett Family Wealth, founded by Martin Rice and Beau Barrett, is based out of Indianapolis and serves families nationwide, overseeing $240 million, according to the press release. Rice and Barrett are joined by registered administrative partner Jan Lasiter, Sanctuary says. Rice had been with Merrill Lynch since the start of his financial advice career in 1998, according to his BrokerCheck profile. Barrett began his career at Merrill Lynch as well, a year later, according to BrokerCheck. Sanctuary, a hybrid RIA and broker-dealer network, was launched in May by the 110-year-old advice practice David A. Noyes & Co. and billed as a new type of independence model, as reported. Last month, Sanctuary lured another Merrill Lynch broker: Cerulean Private Wealth Advisors was founded in September by Mike Myers, who had been with Merrill Lynch since 1998. Merrill Lynch, meanwhile, has created a new Texas West community market and appointed Stanley Stephens as its market executive, the firm says in a press release. The newly created entity includes seven Merrill Lynch offices across Abilene, Lubbock, Midland and Amarillo, Texas, as well as Hobbs and Roswell, N.M., and and Lawton, Okla., the company says. 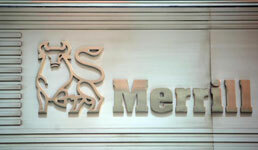 Stephens joined Merrill Lynch in 2010 as a financial advisor, according to the press release.